UPS Freight, the more heavy-duty oriented division of the incredibly popular delivery service is continually on the hunt for the best drivers in the nation to help continue providing their logistics services throughout the country. Operating a myriad of equipment including flatbed trucks and vans up to 53', drivers receive the opportunity to engage in a great deal of driving experiences throughout their line of work. Of course, with these different positions comes an equally diverse range of excellent pay for a driver's diligence on the road. Truckers frequently report that UPS has one of the most competitive salaries and pay packages within the industry. Using its position as one of the largest commercial vehicle chains in the world, UPS has the supreme authority to pay its drivers incredibly well, seeing one of the highest driver retention rates in the country. UPS sees drivers make more than nearly any other trucking company within the same field, making many consider it to be perhaps the top-tier delivery-oriented company that a truck driver can work for. Paid Vacation Time: UPS drivers do not need to worry about taking their well-deserved time off and having it impact their pocketbooks. With UPS' paid time off, each year a driver stays with a company, they gain an additional week of compensated vacation hours. 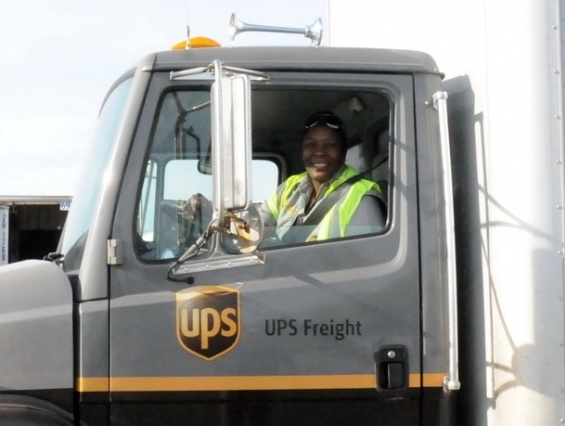 Retirement and Pension: UPS Drivers report that longevity with the company pays off. For those who manage to spend a great deal of time with UPS, they will be extended a retirement offering close to $3000, with some exceeding that amount depending on time spent at the company. Pay for Holidays and Other Occasions: Because UPS is a frequent supplier of on-demand goods and timely deliveries, many drivers can expect to work long hours and holiday shifts during the corresponding seasons. To ensure drivers are up for the task, many will see a special pay rate or level of compensation offered for their hard work. What Other Benefits Do UPS Freight Truckers Get? Seeing close to $64,000 is no figure to sneeze at – and a great deal of drivers in the transportation industry know this to be true. However, UPS understands the importance that is placed on ensuring that drivers in their freight division see the incentives and benefits that they may gain in order to stick around with the company. Freedom In Changing Roles: For drivers who may feel stuck in a certain groove or who may feel as though they can excel in another position or route, UPS makes it easy to transition from within. Drivers can easily swap one position for another and potentially find a better pay rate in doing so. In-House Promotions: UPS is no stranger to the practice of promoting from within in order to help employees succeed. This internal promotion helps its drivers build careers and ultimately find financial success while moving up in the company. Reliance on Technological Innovations: Those who drive for UPS Freight will see the importance the company places on utilizing technology to create a more efficient and productive workplace. This efficiency helps drivers become more effective on the road, and may lead to more options for bonuses. Truckers find that UPS has a wide variety of needs for its clients, and with that, a wide variety of routes open up as well. OTR truckers with UPS Freight sometimes report an even higher figure than other UPS freight drivers, seeing over $78,000 a year. These OTR positions see an even more qualified pool of truckers, with a Hazmat endorsement necessary for many jobs. However, with more qualifications comes more opportunities to earn, driving up the salary for these OTR drivers. Hectic Schedules: These OTR- oriented runs will require drivers to keep long, sometimes exhausting hours in order to ensure that a delivery is made on time and is issued to a happy client. Miles Upon Miles: As disorganized as an OTR driver's route may be, they may find the supreme ability to gain more miles than they are used to seeing depending on the needs of a client or a specific run. This sometimes surprising number of miles will work out in the favor of the driver who is ready to see some extra pay calculated into their paycheck. Perhaps the more common fleet at UPS is the instantly recognizable "brown truck" fleet, where some commercial drivers find success in versus other opportunities at UPS. Hauling freight for this division may be a slightly different experience than other divisions. A brown truck driver will utilize package cars, delivering to more residential areas and some small businesses. Many find, however, that these network of local runs sometimes turn into something that resembles the time table of OTR work, driving around the clock to get the done. Those who can accomplish the runs will see over $30 per hour. Overtime pay is also a large component of this fleet, affording drivers an average of $45 per hour as well as various cash bonuses that may exceed a few thousand dollars. Is UPS Freight the Best Paying Delivery Company For Drivers? It may be difficult and somewhat subjective to determine the best company in the vein of UPS Freight, but many reports from drivers across the country certainly seem to laud the positions offered at the company. Compared to its competitors, UPS sees an initially higher annual salary, which then allows for pay ascension that increases the figures on an even greater scale. UPS Freight is recognized by drivers as a leader in pay for work that requires determination and an infallible attention to detail. 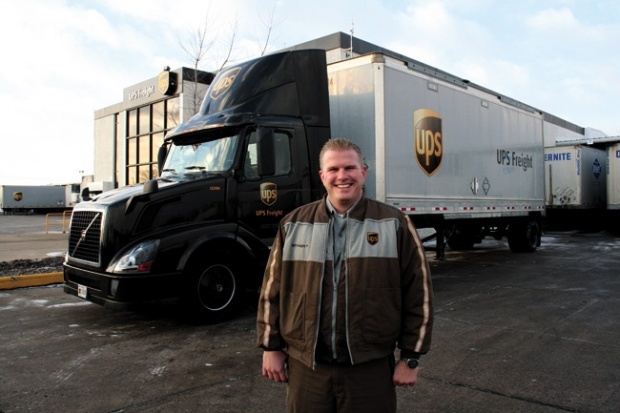 Drivers who thrive in an environment that may require meticulous work and long hours are those who frequently spread the good word about UPS Freight. 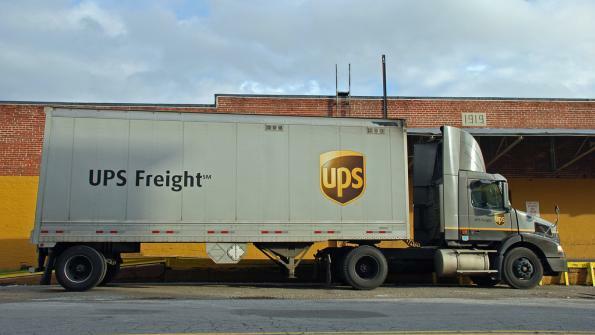 Both UPS Freight and UPS Brown Trucks offer different opportunities to drivers, depending on the amount one wishes to work and the assorted benefits they wish to receive from UPS Freight. No matter which division one enters, one constancy is the excellent annual pay that UPS extends to its drivers. Rather than relying on a mysterious or vague cast of perks, UPS sends drivers on their way with some of the best pay in the industry – then adding on benefits that often keep truckers with the company for decades.